Professor Peter M. Fischer from the University of Gothenburg has carried out nine seasons of excavations from 2010 to 2018 at Hala Sultan Tekke in Cyprus. Hala Sultan Tekke is one of the largest Late Cypriot (= Late Bronze Age) cities in the Eastern Mediterranean. Students and archaeologists from all over the world have participated in the excavations. The average annual team consists of 20–30 persons. Pre-excavation surveys with ground-penetrating radar and magnetometer resulted in the discovery of new city quarters (CQ) which date mainly to the 13th and 12th centuries BCE, nevertheless earlier remains were found too. The excavations in 2019 will concentrate on CQ1’s earliest strata, the recently discovered (largest) CQ4 and the cemetery (see previous reports and maps). 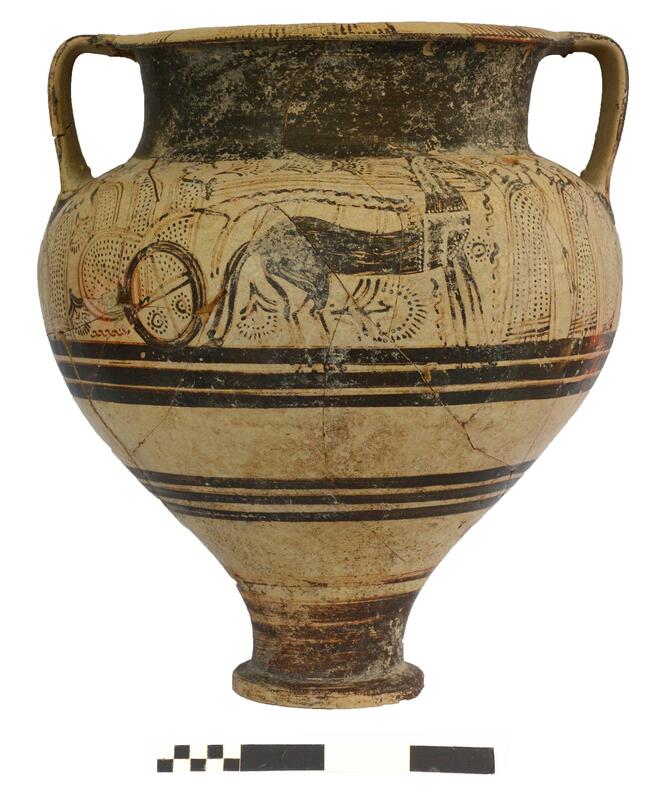 A number of spectacular finds confirm long-distance trade including Greece and Crete, Egypt, Sudan (? ), Anatolia, Syria, Lebanon and the Levant, but also Italy and central and northern Europe. Finds include stone architecture, sophisticated pottery, objects of stone and metals, including bronze weapons and tools, gold and silver jewellery, and tools and installations for the production of copper and purple dyed textiles. Preliminary conditions: The participants have to pay their travel expenses to and from Cyprus. (Simple) accommodation and (basic) meals will be provided by the expedition. Expenditures during leisure time have to be paid by the participants. Free excursions are planned for the weekends. Although exciting, the field work is tough, the climate is fairly harsh, and the participants should be prepared to spend long days in the field and during processing of the excavated material which will be treated immediately after its discovery. Observe that excavations are carried out also on Saturdays, although reduced.